A study designed to equip youth and adults to defend the lives of the unborn. WVRTL and Life Training Institute endorse this program. “The Art of Pro-life Persuasion” is an interactive study designed to equip youth and adults to present the truth about abortion. 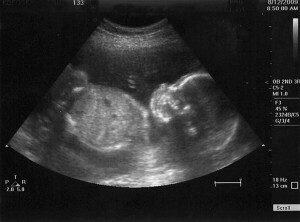 The abortion debate is simplified by answering one question: What is the unborn? The case for life is presented with scientific and philosophical proofs. Being able to present the pro-life view to those who do not respect the Bible’s authority is crucial. This teaching will equip pro-life advocates to present the sacredness of human life in a compelling and gracious manner. An outline is made available for the study and is useful for recall. Two resources provide the content for The Art of Pro-Life Persuasion: Stand to Reason is a Christian Apologetics organization. Life Training Institute has been instrumental in training youth in Right to Life Boot Camps in Indiana and across the nation. Flexibility: This study is suited for a one-time presentation to youth groups or combined youth/adult meetings. Time frame can vary from one to two hours (same day or two days). If the class leader agrees, a pro-life video can also be viewed. Contact Ann Coker for more information – call: 812-877-9440 or email: abcoker@frontier.com with “P-L P” on subject line. 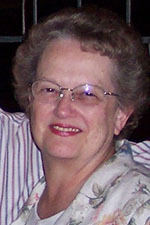 Ann Coker is a Christian wife and mother, and a member of Hulman Street Wesleyan Church in Terre Haute, Indiana. Ann served in volunteer and staff positions at the Crisis Pregnancy Centers of the Wabash Valley. She currently serves as secretary of the Wabash Valley Right to Life board and has been active in their youth pro-life Boot Camp.